Hello friends and welcome back to my blog! Today we are sharing a blog hop jam packed with helpful ideas to help you finish of the year strong. Keep reading and remember to visit all the blogs to collect all the letters for our giveaway! 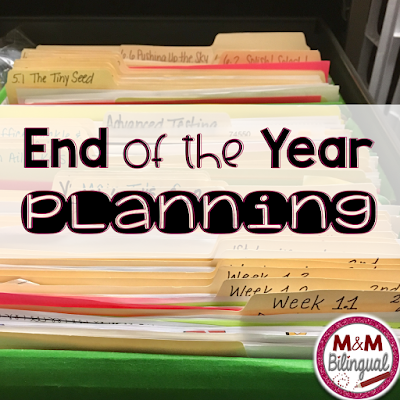 My tip for the end of the year has to do with organization. I have file folders for each week of the year. 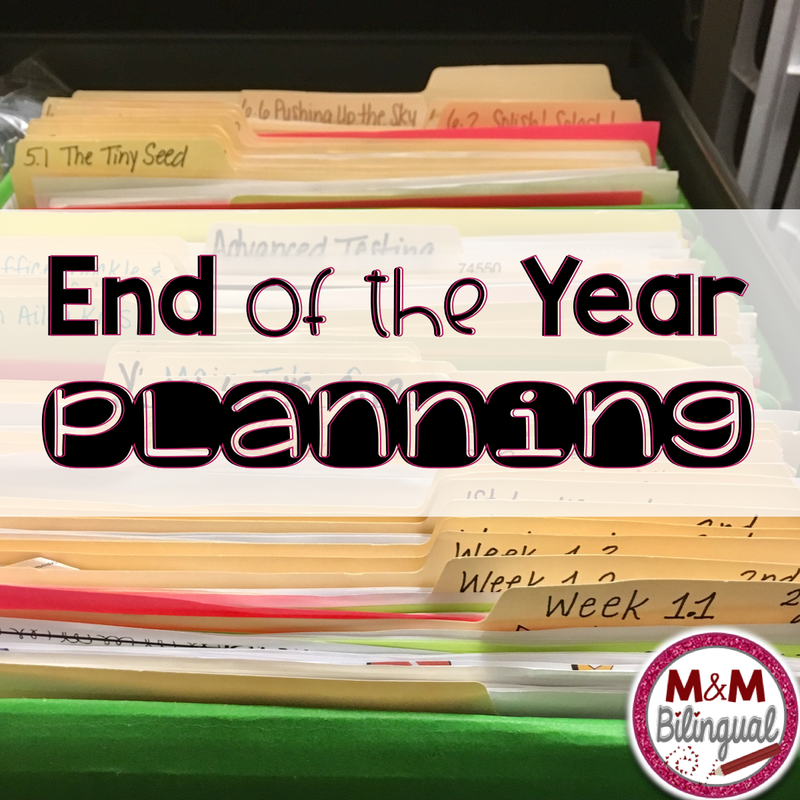 My plan for the end of the year is to visit each folder and add or remove activities based on how helpful they were this year. *Hopefully* I find out soon if I'll be staying in the same grade level/assignment, if not whoever comes in to my classroom will pretty much be set up! I realize there is so much to do at the end of the year, BUT the more organized you leave everything, the better prepared you will be come the beginning of the year. 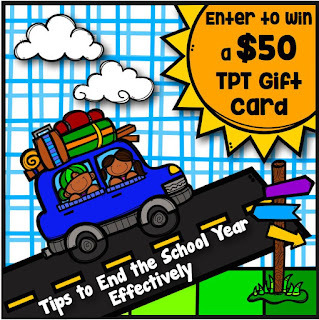 Slowly tackle your files, drawers, closets (eeek! ), and school computer. 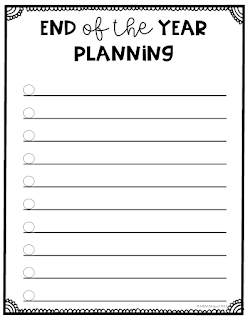 Here is a FREE End of the Year Planning Checklist to help you write down everything you need to do before closing up your classroom for the summer. If you need any resources for the end of the year: I have my bestselling memory books HERE and a free summer bingo HERE! a Rafflecopter giveaway Thank you for reading and until next time!